Recommended treatments for COPD include long-acting muscarinic antagonists (LAMA), such as tiotropium, which act on a subtype of cholinergic receptor, and long-acting beta agonists (LABA) such as salmeterol and formoterol fumarate. As of 1 November, 2014, two additional medicines in these classes are now fully subsidised: glycopyrronium, a LAMA, and indacaterol, a LABA. This offers a wider range of treatment options for patients with COPD. Glycopyrronium subsidy is subject to Special Authority approval, with a number of restrictions. Indacaterol is subsidised without restriction. The exact prevalence of COPD in New Zealand is unknown, but it has been estimated to affect approximately 14% of people aged 40 years and older.1 Smoking is the main risk factor.2 Primary care clinicians have an important role in identifying patients at risk of COPD, diagnosing COPD, referring patients to respiratory specialists and providing ongoing management. Long-acting muscarinic antagonist (LAMA) or beta-agonist (LABA) inhalations are the recommended first-line treatment for many patients with COPD.3 These include formoterol (also known as eformoterol), tiotropium and salmeterol, which were already fully or partly subsidised, and the newly subsidised glycopyrronium and indacaterol. Other treatment options include short-acting medicines such as salbutamol (a short-acting beta-agonist) and ipratropium bromide (a short-acting muscarinic antagonist), both of which are fully subsidised. Glycopyrronium is fully subsidised, subject to Special Authority approval. Initial applications and renewals can be applied for by general practitioners, and both are valid for two years. Patients should also not be smokers, or alternatively have been offered smoking cessation advice, and they must have been offered an up-to-date influenza vaccination. The same Special Authority criteria apply to tiotropium, and patients can be switched between these two medicines without the need to reapply for Special Authority. However, funding is only for one of these medicines at a time and tiotropium and glycopyrronium should not be used together. For renewal of Special Authority applications, patients must be compliant with medicine use and show benefit from glycopyrronium. Indacaterol is available, fully subsidised, without the need for Special Authority approval. Glycopyrronium is an inhaled long-acting muscarinic receptor antagonist (LAMA), which acts as a bronchodilator and is indicated for use in patients with COPD. Glycopyrronium is administered as a 50 microgram dose, once daily, via inhalation of dry powder using the inhaler device; each dose (supplied as a blister-packed capsule) must be loaded into the inhaler device immediately before use. Patients will need to be instructed on how to use the inhaler. It is designed to give feedback when a dose is taken correctly, with an audible whirring noise after dose delivery, and patients are able to check that the delivery capsule is empty. It is rapidly absorbed and reaches peak plasma levels five minutes after administration. Based on data from clinical trials, the expected benefit is likely to be in the range of a 100 mL increase in forced expiratory volume (FEV1).6 The result for patients therefore is an improvement in breathlessness and exercise tolerance. A combination indacaterol/glycopyrronium inhaled powder has been investigated for effectiveness in the treatment of patients with COPD and shows some benefit over either treatment alone. 14, 15 It is possible that this preparation may also be subsidised on the Pharmaceutical Schedule in the future. N.B. An update on COPD management is planned for Best Practice Journal in 2015. Shirtcliffe P, Weatherall M, Marsh S, et al. COPD prevalence in a random population survey: a matter of definition. Eur Respir J 2007;30:232–9. Postma DS, Bush A, van den Berge M. Risk factors and early origins of chronic obstructive pulmonary disease. Lancet 2014;[Epub ahead of print]. 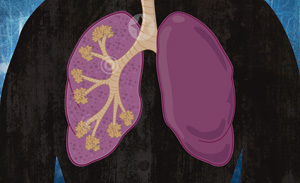 Global initiative for chronic obstructive lung disease (GOLD). Global strategy for diagnosis, management and prevention of COPD. GOLD, 2014. Available from: www.goldcopd.org/guidelines-global-strategy-for-diagnosis-management.html (Accessed Nov, 2014). Chang CL, Hancox RJ, Beckert L. Reading between the COPD audits: have current GOLD standards lost their lustre? N Z Med J 2013;126:5–8. Bestall JC, Paul EA, Garrod R, et al. Usefulness of the Medical Research Council (MRC) dyspnoea scale as a measure of disability in patients with chronic obstructive pulmonary disease. Thorax 1999;54:581–6. National Institute for Health and Care Excellence (NICE). NICE Evidence Summary ESNM9: Chronic obstructive pulmonary disease: glycopyrronium bromide. NICE, 2013. Available from: www.nice.org.uk/advice/esnm9 (Accessed Nov, 2014). Jiang F-M, Liang Z-A, Zheng Q-L, et al. Safety and efficacy of 12-week or longer indacaterol treatment in moderate-to-severe COPD patients: a systematic review. Lung 2013;191:135–46. Chung VCH, Ma PHX, Hui DSC, et al. Indacaterol for chronic obstructive pulmonary disease: systematic review and meta-analysis. PloS One 2013;8:e70784. European Medicines Agency (EMA). Seebri Breezhaler. Glycopyrronium bromide. EMA, 2014. Available from: www.ema.europa.eu/ema/index.jsp?curl=pages/medicines/human/medicines/002430/human_med_001580.jsp&mid=WC0b01ac058001d124 (Accessed Nov, 2014). Novartis New Zealand Limited. Seebri Breezhaler. Glycopyrronium bromide. New Zealand Data Sheet. 2014. Available from: www.medsafe.govt.nz/Profs/Datasheet/s/seebricap.pdf (Accessed Nov, 2014). Donohue JF, Singh D, Kornmann O, et al. Safety of indacaterol in the treatment of patients with COPD. Int J Chron Obstruct Pulmon Dis 2011;6:477–92. Novartis New Zealand Limited. New Zealand Data Sheet. Onbrez Breezhaler. Indacaterol maleate. 2013. Available from: www.medsafe.govt.nz/profs/datasheet/o/onbrezcap.pdf (Accessed Nov, 2014). Devereaux D, Tewelde SZ. Hyperthyroidism and thyrotoxicosis. Emerg Med Clin North Am 2014;32:277–92. Rodrigo GJ, Plaza V. Efficacy and safety of a fixed-dose combination of indacaterol and glycopyrronium for the treatment of COPD: a systematic review. Chest 2014;146:309–17. European Medicines Agency (EMA). Ultibro Breezhaler. Indacaterol/glycopyrronium. London: European Medicines Agency, 2013. On 1 November, 2014, rivastigmine patches were newly funded on the national Pharmaceutical Schedule for the management of patients with dementia. Two strengths of patches are now funded as a second-line treatment for dementia, subject to Special Authority criteria. Patients first must have tried oral donepezil but have experienced intolerable nausea and vomiting. Rivastigmine is equally effective as donepezil. Approximately 30,000 people in New Zealand are estimated to be living with Alzheimer’s disease,1 the primary cause of dementia, and general practitioners are often the first point of contact for patients or their family members who may have concerns over memory problems or behaviour changes. International guidelines recommend that initial evaluations for the diagnosis of dementia include an assessment of patient history, with information from family members and people familiar with the patient, as well as some form of cognitive test, such as the Mini Mental State Examination.2, 3 Investigations such as complete blood count, renal and liver function tests, thyroid-stimulating hormone, electrolytes, calcium, glucose, folate and vitamin B12 levels may be considered, as these can help to exclude other differential diagnoses or additional causes of cognitive impairment.2, 3 Patients with suspected dementia are likely to require referral to a geriatrician or psychiatrist to confirm a diagnosis as other tests and imaging may be required. There are no medicines or lifestyle interventions which have been shown to reverse or cure dementia. As dementia influences many aspects of a person’s daily life, and in turn the lives of those around them, care of patients with dementia and their families revolves around the provision of support services, including counselling to promote independence in activities of daily living and to provide psychological support.3 Medicines indicated for the treatment of dementia are not a cure, and act only to improve or delay symptoms. In New Zealand, the acetylcholinesterase inhibitor donepezil, taken orally, is fully funded as a first-line treatment for dementia. Rivastigmine patches are a second-line treatment if donepezil tablets are not tolerated. Galantamine and memantine are also indicated for the management of dementia in patients with Alzheimer’s disease, but are not subsidised. The approved indication for rivastigmine is for the management of patients with dementia due to Alzheimer’s disease. Its use in patients with dementia due to other causes such as Parkinson’s disease or Lewy body dementia is an unapproved indication, however, these patients may benefit from rivastigmine treatment,4 and the Special Authority criteria do not limit access to specific causes of dementia. Rivastigmine patches at two strengths, 4.6 mg/24 hours (5 cm2 patch) and 9.5 mg/24 hours (10 cm2 patch), are fully subsidised subject to Special Authority criteria for use in patients intolerant to the gastrointestinal side effects of donepezil. Applicants will need to confirm the patient has dementia and has experienced intolerable nausea and/or vomiting from donepezil tablets, which is estimated to occur in approximately 15% of patients.4 Initial applications are valid for six months and renewal applications can be made if the patient shows benefit, and are valid for another 12 months. How are rivastigmine patches given? Rivastigmine patches are applied to the skin once daily, and should be removed and changed for a new patch after 24 hours. Because of the potential for skin site reactions, patches should be reapplied to a different area of skin, although this may be in the same anatomical region (e.g. back), avoiding the same area for the following 14 days. Patches may be worn during everyday activities such as bathing, but prolonged exposure to external heat sources should be avoided, e.g. direct sun or heaters. The majority of patients taking rivastigmine experience adverse effects; most often these are application site reactions, but also include gastrointestinal symptoms such as nausea, vomiting and diarrhoea, as well as anorexia, headache, syncope, dizziness, falls and extrapyramidal symptoms.7, 13, 14 Serious adverse effects are rare.7, 14 Patients taking rivastigmine via transdermal patches show lower rates of gastrointestinal adverse effects than those taking rivastigmine capsules,14 and therefore patients who have experienced gastrointestinal adverse effects while taking donepezil may find transdermal rivastigmine more tolerable. In all patients, rivastigmine treatment should be stopped if gastrointestinal adverse effects occur or there are extrapyramidal effects, but treatment can continue once these resolve.12 If symptoms reappear, it may be necessary to reduce the dose. Adverse effects are more likely to occur if a carer or the patient does not remove the previous patch prior to applying another.12 Practical reminders may be helpful such as a note placed on the medicine box, or establishing a routine of always throwing out the discarded pouch from the new patch with the previous day’s removed patch inside it. Tobias M, Yeh L-C, Johnson E. Burden of Alzheimer’s disease: population-based estimates and projections for New Zealand, 2006-2031. Aust N Z J Psychiatry 2008;42:828–36. Sorbi S, Hort J, Erkinjuntti T, et al. EFNS-ENS Guidelines on the diagnosis and management of disorders associated with dementia. Eur J Neurol 2012;19:1159–79. NICE. Dementia: supporting people with dementia and their carers in health and social care. NICE 2006. https://www.nice.org.uk/guidance/cg42/resources/guidance-dementia-pdf (Accessed Nov, 2014). Minutes of the Mental Health Subcommittee of PTAC, 21 June 2010 meeting. 2010. Available from: www.pharmac.govt.nz/patients/ApplicationTracker?ProposalId=180 (Accessed Nov, 2014). Contestabile A. The history of the cholinergic hypothesis. Behav Brain Res 2011;221:334–40. Hansen RA, Gartlehner G, Webb AP, et al. Efficacy and safety of donepezil, galantamine, and rivastigmine for the treatment of Alzheimer’s disease: a systematic review and meta-analysis. Clin Interv Aging 2008;3:211–25. Birks J, Grimley Evans J, Iakovidou V, et al. Rivastigmine for Alzheimer’s disease. Cochrane Database Syst Rev 2009;2:CD001191. Rodda J, Carter J. Cholinesterase inhibitors and memantine for symptomatic treatment of dementia. BMJ 2012;344:e2986–e2986. Kennedy JS, Polinsky RJ, Johnson B, et al. Preferential cerebrospinal fluid acetylcholinesterase inhibition by rivastigmine in humans. J Clin Psychopharmacol 1999;19:513–21. Reñé R, Ricart J, Hernández B, et al. From high doses of oral rivastigmine to transdermal rivastigmine patches: user experience and satisfaction among caregivers of patients with mild to moderate Alzheimer disease. Neurologia 2014;29:86–93. Gauthier S, Robillard A, Cohen S, et al. Real-life effectiveness and tolerability of the rivastigmine transdermal patch in patients with mild-to-moderate Alzheimer’s disease: the EMBRACE study. Curr Med Res Opin 2013;29:989–1000. Novartis New Zealand Limited. New Zealand Data Sheet. Exelon; Rivastigmine transdermal patch. Auckland, NZ: 2014. Available from: www.medsafe.govt.nz/profs/datasheet/e/Exelonpatch.pdf (Accessed Nov, 2014). New Zealand Formulary (NZF). NZF v29. 2014. Available from: www.nzf.org.nz (Accessed Nov, 2014). Sadowsky CH, Farlow MR, Meng X, et al. Safety and tolerability of rivastigmine transdermal patch compared with rivastigmine capsules in patients switched from donepezil: data from three clinical trials. Int J Clin Pract 2010;64:188–93. Fingolimod and natalizumab are now effectively the first-line treatments for people with relapsing-remitting MS. The “ABC medicines” – interferon beta-1a (Avonex), interferon beta-1b (Betaferon) and glatiramer acetate (Copaxone) – will still be fully subsidised, but only as second-line treatments if fingolimod and natalizumab are not tolerated, or are not clinically appropriate. However, the “ABC” medicines will continue to be subsidised for people who were receiving one of these treatments prior to 1 November 2014; therefore these people do not need to switch treatment unless they wish to. For people with MS with one significant relapse in the previous 12 months, or two significant relapses in the previous 24 months. 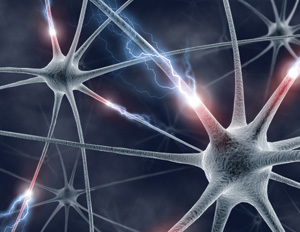 Treatment can be initiated once the diagnosis of MS has been confirmed. Previously, people with MS had to display frequent relapses and significant residual disability to qualify for subsidised treatment. * The Kurtzke EDSS is a method of quantifying disability in patients with MS. The assessment is undertaken in secondary care and is used to measure and assess disability and disease progression in patients with MS.
General practitioners are encouraged to review the treatment of all patients with an existing diagnosis of MS who potentially meet the new funding criteria. It is important that general practitioners refer patients with symptoms suggestive of MS early to a neurologist for assessment. Earlier access to disease-modifying medicines may slow progression of MS and result in reduced disability for some people (see below). For further information, see: “Multiple sclerosis: Managing shades of grey”, BPJ 54 (Aug, 2013). General practitioners may be requested to provide repeat prescriptions for fingolimod following approval of the initial treatment application by the Multiple Sclerosis Treatment Advisory Committee (MSTAC). Fingolimod is available in 500 microgram capsules, which are taken once daily. Fingolimod is contraindicated in people who are undergoing immunosuppressant treatment, have active infection or an active malignancy (other than basal cell carcinoma).5 Fingolimod is not recommended for people with an increased cardiovascular risk as it may cause bradycardia and heart block due to its effects on the sphinogosine-1-phosphate receptors on the heart.5 Fingolimod may also not be appropriate for people with other cardiac conditions (see NZF for more details). Discussion with a cardiologist is strongly recommended prior to starting fingolimod in a patient with a history of cardiovascular issues. The clinician managing the patient’s treatment for MS should be informed if the patient develops any clinically significant cardiovascular symptoms while taking fingolimod. It is recommended that people who do not have a validated history of varicella or a documented full course of varicella vaccine undergo varicella zoster antibody testing prior to starting fingolimod.5 A full course of varicella vaccine should be administered in patients who are varicella antibody-negative and the initiation of fingolimod treatment delayed for one month to allow the vaccine to reach full effectiveness. Natalizumab is an intravenous infusion, given every four weeks in secondary care for the treatment of people with relapsing-remitting MS. It is available as a 300 mg/15 mL formulation. General practitioners are unlikely to be involved in prescribing natalizumab, but will be involved in monitoring patients for adverse effects. Community pharmacists are unlikely to dispense natalizumab directly to the patient as this will generally be arranged by the hospital pharmacy. Natalizumab may be the most effective medicine available for treating relapsing-remitting MS.3 It is a humanised monoclonal antibody that blocks receptors on the surface of phagocytic mononuclear cells, preventing them from migrating from peripheral circulation into the central nervous system.3 A review of three studies, one placebo-controlled study (942 patients) and two studies involving adjunctive treatment with either glatiramer acetate (110 patients) or interferon beta-1b (1171 patients), found robust evidence of a reduction in relapses and disability in patients with MS after two years.4 It is important that general practitioners discuss any concerns they have about the effectiveness of MS treatments that a patient is taking with the clinician managing the patient’s treatment for MS, as patients that are not responding to other medicines may be eligible for treatment with natalizumab. Simon C. Multiple sclerosis. InnovAiT 2009;2:205–12. Scalfari A, Neuhaus A, Degenhardt A, et al. The natural history of multiple sclerosis: a geographically based study 10: relapses and long-term disability. Brain J Neurol 2010;133:1914–29. Carrithers MD. Update on disease-modifying treatments for multiple sclerosis. Clin Ther 2014;[Epub ahead of print]. Pucci E, Giuliani G, Solari A, et al. Natalizumab for relapsing remitting multiple sclerosis. Cochrane Database Syst Rev 2011;CD007621. Novartis New Zealand Limited. Gilenya. Fingolimod. New Zealand Data Sheet. 2014 .Available from: www.medsafe.govt.nz/profs/Datasheet/g/gilenyacap.pdf (Accessed Nov, 2014). Navin Sivalingam said: 24/02/2015 11:20:10 a.m.